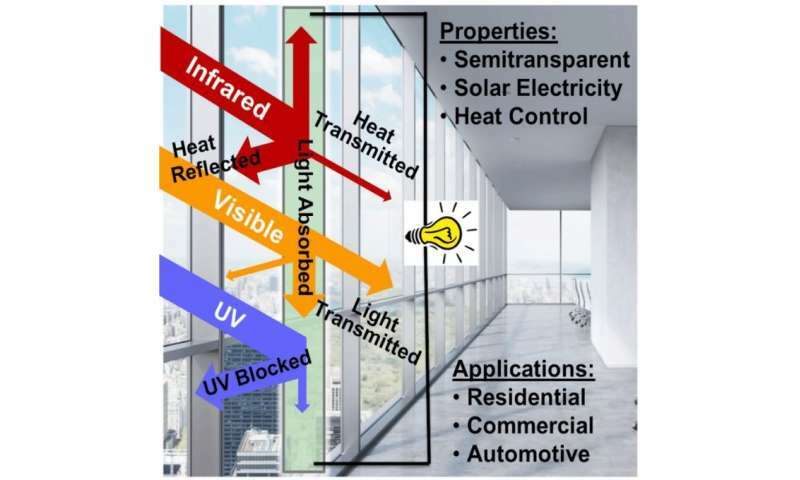 To construct a prototype capable of simultaneously outputting electricity and preventing excessive heating, the researchers—who were additionally led by Fei Huang, also a South China University of Technology materials science professor—needed to perform a three-way balancing act between harvesting light for electricity generation, blocking it for heat insulation, and transmitting it as a window normally would. Mixing and matching from among materials and chemical compounds previously proposed for these different purposes, they put together a device that let the familiar visible portions of sunlight through, turned back the infrared light (a major heating culprit), and converted the near-infrared region in-between into an electric current. Semitransparent solar cells—a window to the future? Our Focus is misguided. We are NOT making use of Oceans that occupy 3/4 area of our planet. Instead of just focusing on Rivers-Dams-Hydrothermal Projects, we should rather have Hydrothermal Projects by the side of estuaries. Just Fill up Giant Concrete Cubes with the water, and make them flow over Turbines. As simple as that. That water should flow into the underground. As long as Towns are not nearby, it should help since the water is Salty ! Our Focus is misguided. We are NOT making use of Oceans that occupy 3/4 area of our planet. This is still in early days - and I don't think we have any demo plants to allow us to talk about cost. @betterexists - You use the term "hydrothermal". Could you link to an example of what are referring to.